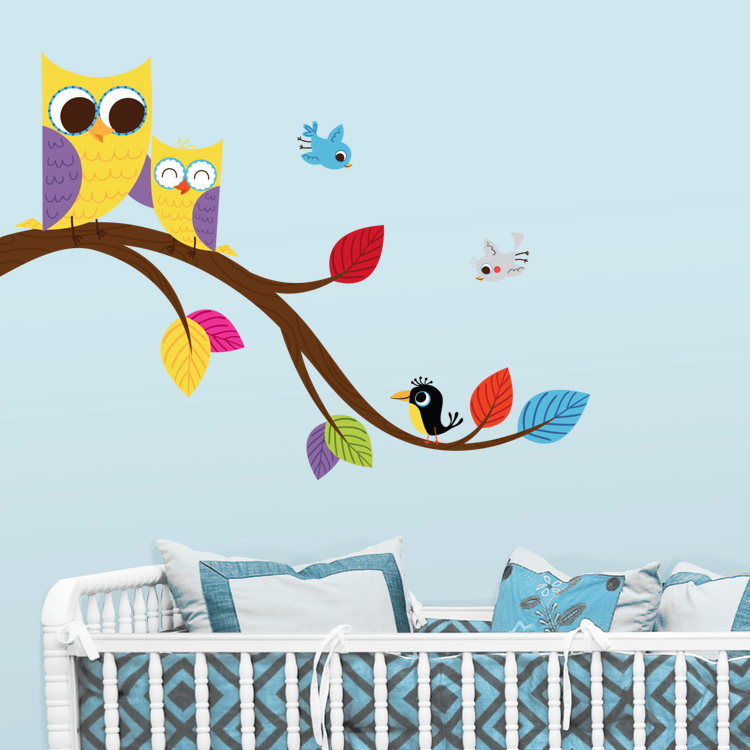 Liven up your nursery with this Cute Mom and Baby Owls on a Branch printed wall decal! Our Printed Decals are easy to apply and are ideal for any smooth and flat surface! If your walls have any texture, we recommend purchasing a Printed Test Decal Sample Pack first. Entire graphic as shown: 40 inches wide by 28.5 inches high. Birds: sizes range from 3.5 - 5 inches in diameter. Comes laid out in one section ready to apply but the small birds come individually. 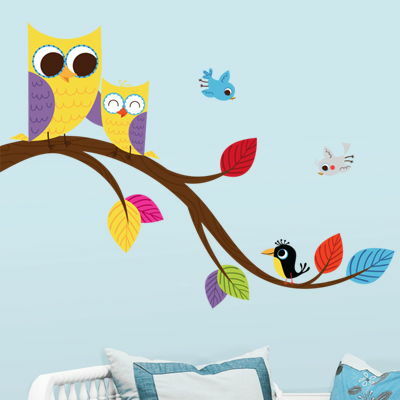 I ordered this for my baby’s nursery, it looks PERFECT! The pictures do not do it justice everyone ask me if I painted it on the wall. It didn’t take long at all to put up, it is so easy my 5 year old was even able to help.